That is Elly Blue of Taking the Lane and Joe Biel of Cantankerous Titles. 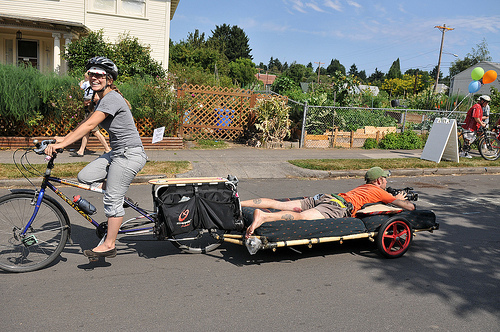 This photo is from an event put on by TRANSPORTland. This has to be the best idea for a bike race ever. 30+ miles, with obstacles and 100 pounds of “emergency supply” cargo. Brilliant!